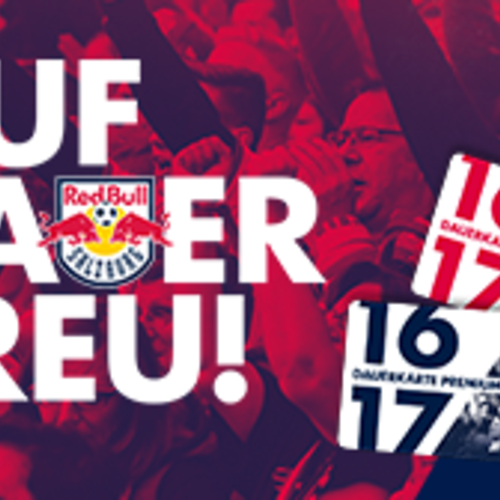 FC Red Bull Salzburg - Baruch-haba Munas! 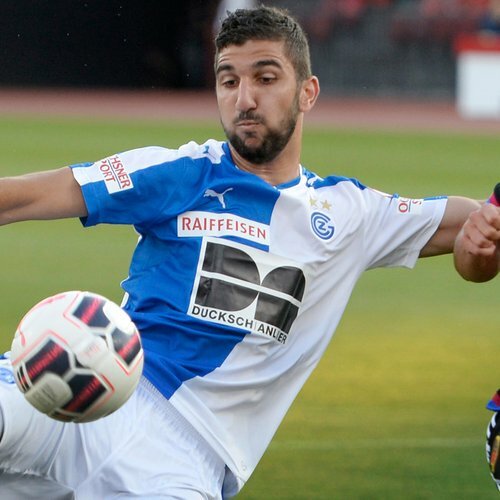 Back in the winter transfer window, FC Red Bull Salzburg were interested in signing Munas Dabbur. While they were unable at that time to get his signature, the transfer is now complete - and the 23-year-old striker is to join Salzburg next season from Grasshoppers Zürich, signing a contract until 2021. The striker has been capped four times by Israel, plus scored 48 goals and provided 26 assists in 87 competitive matches for the side currently third in the Swiss Super League. Munas Dabbur, who was a part of Oscar Garcia's 2012/13 title-winning team at Maccabi Tel Aviv, has been playing for Grasshoppers since 2014. He is currently the top scorer in the Swiss super league with 18 goals from 30 games - ahead of former Salzburg marksman Marc Janko (16). He has also set up 13 goals in the Swiss Super League this season, and scored three goals in two matches in the Swiss Cup. 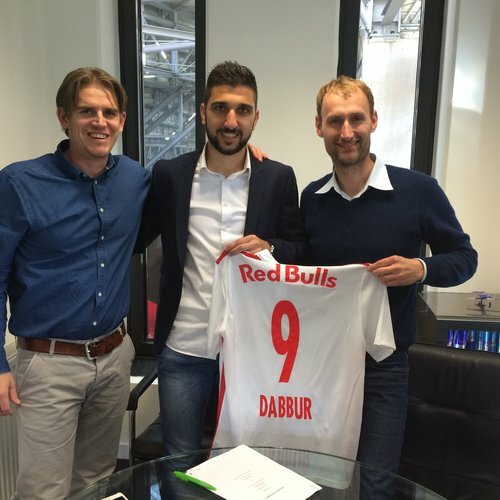 I am pleased that Dabbur's transfer to Salzburg is now complete. We are getting a player who will boost us in attack and increase our goal threat. He has already shown in Switzerland what he can do. we had the pleasure of speaking to Munas for a short Interview, and can give you some initial impressions of our new top striker. Welcome to the Red Bulls, Munas! We are delighted that you were able to give an interview at such short notice. When will we get to meet you in person in Salzburg? The date isn't confirmed yet, but it'll be around the start of June or at the start of training at the latest, of course, when I will get to meet my new team-mates too. You are a player that Oscar Garcia really wanted to sign, and ever since your name was associated with FC Red Bull Salzburg, our fans have been excited. You are a real top star, a model athlete and you embody precisely the mentality we were looking for to bolster our attack. Why did you decide to sign for FC Red Bull Salzburg? There are a lot of reasons. Red Bull means a lot in football. Red Bull Salzburg is 'the club' in Austria, just like FC Basel is in Switzerland. The training conditions and infrastructure are superb here. I have analysed the team closely and seen a match at the stadium. The style of play totally suits me - high pressing, technically very good players in the squad and attacking football. I'm a winner; I want to win titles and become a champion with the Red Bulls, and hopefully reach the Champions League group stage this summer. I should add that the club bosses have really reached out and impressed me. 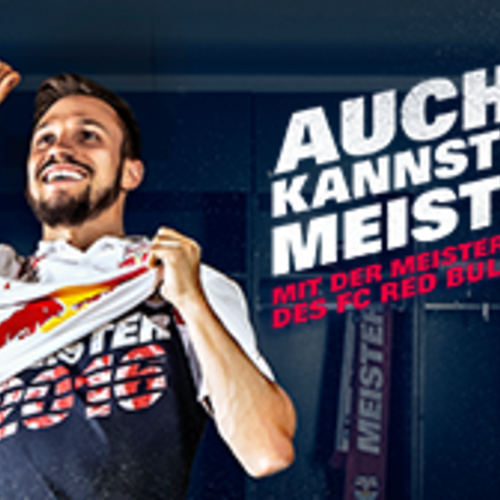 The entire professional way they operate really suits me and made my decision to join Red Bull Salzburg easier. You were linked to the Red Bulls in the winter transfer window, and perhaps that made you follow the rest of the season in the Austrian Bundesliga a little. You have already played for Oscar Garcia at Maccabi Tel Aviv and won the Israeli league. How was it for you to work with him, and how pleasing is it to be able to train under him again? I am totally delighted to be able to work with Oscar again. He is a very good coach and I was able to learn a lot from him at Maccabi. You have scored 48 goals for Grasshoppers in 89 matches, with 21 coming last season alone. You have also scored 13 times in 19 appearances for the Israeli under-21 team, and scored on your full international debut. These figures all show how dangerous your finishing is! Apart from that we would love to know what - in your opinion - makes you stand out as a player? My statistics in the last few years speak for themselves. I don't only enjoy scoring, but I like to play the final pass to my team-mates. I try to break through opposing defences by dribbling and catch opponents out. We're sure you have great memories of your time with Grasshoppers Zürich. Has there been an experience that you will always remember, or someone in particular you would like to thank for it? I would like to thank all my team-mates, the coaching staff and everyone at the club including the kitman. I had two-and-a-half wonderful years at Grasshoppers, which in my view were the right step for my personal development.